2016 has been a crazy year for VR: public release of dedicated VR headsets, creation of new types of games and experiences, and many more things to come. 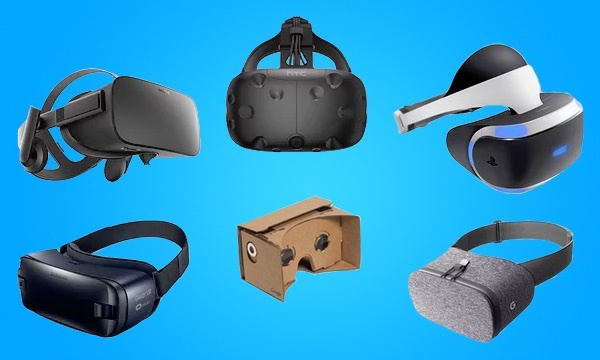 In the tech literature today, we often see “What’s the best VR headset” or “What VR headset should you buy” articles. I wanted to do something slightly different here and focus on the immersion the virtual headsets can provide, because to me, it is their main purpose. The immersion is not up to the game or VR experience only, the headset actually plays a big part in making you feel that what you see is real. Display: the higher the resolution and refresh rate the better. It makes the images more sharp and realistic. And a large field of view will make it feel more realistic and natural too. Head tracking sensors: they are the sensors that follow your head movement and make the experience match when you turn your head. Positional tracking: it is the external tracking, the sensors that are not in the headset. This will enable you (or not) to play seated, standing or to move around freely. The icing on the cake is 360° tracking: it is the possibility of playing even when your back is facing the tracking system. Sound: a fully immersive experience cannot be complete without a decent sound system. But I think it depends more on your feeling. Would you prefer having an all-in-one headset or being able to put on your favorite headphones to play your now favorite games. Weight: the lighter the better, indeed. Wirelessness: being able to move freely, completely free of wires, no more spaghetti mess! Multiplayer bonus: being able to share the same experience at the same time with other people, in the same conditions, well it’s possible, for some headsets. 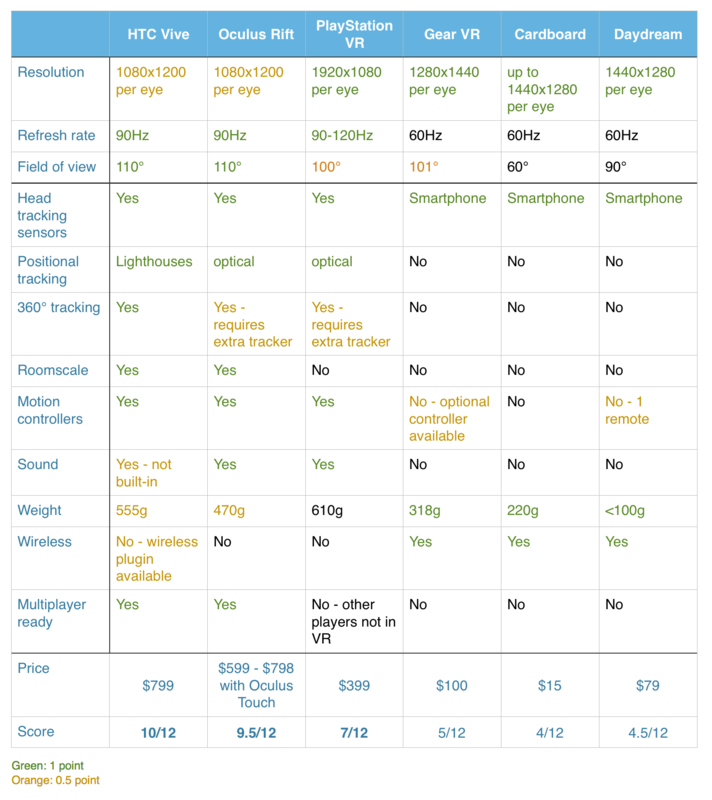 In the table below, I am comparing the following headsets: HTC Vive, Oculus Rift, PlayStation VR, Samsung Gear VR, Google Cardboard and Daydream. I made the choice of comparing those headsets because they are the main ones on the market and present features significantly different from each other. And the winner is, drumroll, please… HTC Vive and Oculus Rift, followed by PlayStation VR. Obviously, the dedicated headset offer a better immersive experience because they have better trackers and they give the players the possibility to play and move in a 360° environment. The smartphone headsets are good to discover VR, play a quick VR game, but they are not good enough for a long immersive game: you cannot properly use your hands to interact in the virtual world and you cannot properly move around either. They remain an affordable solution for a static experience.